Hyssop tea is a cleansing herbal infusion that is said to help at the onset of a cold, helping to treat a number of its symptoms. From sneezing to coughing, this is a tea made from the flowers and leaves of an evergreen decorative bush that may help clear up your respiratory tract and help you breathe better. Come and learn more about how this floral tea may help you! Hyssop, hyssopus officinalis, is a small evergreen plant that is native to southern Europe and the temperate regions of western and central Asia. Today it may be found growing all around the world. While once it was essentially cultivated for its healing properties, today it is greatly appreciated for its decorative nature. The name hyssop comes from the Greek word "azob", meaning "holy herb", as it was used to clean and purify sacred places of worship. It may be found under other names such as Issopo, hua xiang, curdukotu and hastipippili. This aromatic hardy bush can grow from 30 cm to 60 cm in height. It has square stems on a woody base with narrow and small green leaves, with smooth edges and fine hairs on the tips of the surface. These leaves don't need much water. 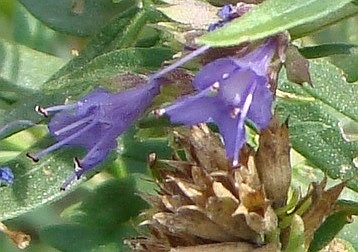 From June to October, hyssop blooms tubular flowers in whorls of 6 to 15 blossoms. The flowers are blue to pink or purple, and very seldom white. These flowers are usually harvested in the mid-summer and may be eaten or brewed for tea. This is an herb that is easily grown in a garden with plenty of sunlight, but can still grow in the shade of a cool balcony all the same, and when its leaves are dried they still retain their strong fragrance for a long time. Hyssop has long been used as a cleansing herb, a healing herb best suited to clear the air of a sickroom. In ancient times, as early as the 7th century, hyssop would be used to cleanse and purify the air of sacred places. It would even be used to sweep the floors in the hopes that it would sanitize the place. Ancient Romans would use this herb as a protection against the plague or as cooking herb in a number of different dishes, whereas the Greeks would also use this herbal infusion for a number of respiratory complains, affecting throat and lungs. In Biblical times, this tea was considered holy as it was thought to be clear the souls of wrongdoing. It would be taken at Passover. In the 17th century, hyssop was brought over to America, but still continued to be used in Europe to treat a growing number of ailments and as a form of deterrent against the spreading of infection. This herb also started being used simply as an ornamental element in gardens around the world and today it is still planted as a decorative hedge around gardens. Today this herb is still greatly appreciated as a cooking ingredient adding a potent spicy and bitter flavor to a number of dishes. When added sparingly to soups and salads, the leaves may also serve as a digestive aid. Hyssop leaves and flowers are harvested for their fragrance and the extracted essential oil is used in the world of perfumery and cosmetics. Many people still enjoy this herbal tea, infusing hyssop for its healing benefits. 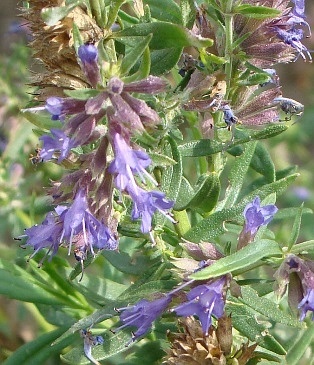 Hyssop tea contains several elements including volatile oil, tannins, flavonoids, glycosides, resins and bitter lactone. The leaves and stems contain also rosmarinic and caffeic acids. When you start feeling the first symptoms of a cold, make sure to drink a nice hot cup of hyssop tea. This herbal infusion is said to help inhibit the cold viruses and reduce inflammation. Taking a cup of this tea when you are sick with the cold may also be a way of clearing up lung congestion and soothing irritable mucous membranes of your respiratory tract. As an expectorant it may clear phlegm and other toxins from the airways. If you get worse and start feeling feverish, you may have the flu. Hyssop tea may speed up healing time, through sweating and bringing your temperature down as your body expels the harmful elements. This may be helpful when you suffering from bronchitis or pneumonia. If you have a sore throat, hyssop tea may help to treat it and stop uncontrolled coughing, hoarseness or chronic catarrh. Consider gargling with the infusion before drinking it. It may also help boost your immune system and strengthen your respiratory system, keeping it healthy and allowing you to breathe better and feel clear headed. Hyssop tea may be a good infusion to drink during the allergy season, soothing allergic reactions calming the urge to sneeze. Breathing in the vapors of this infusion may help clear up your sinuses. This tea may also alleviate asthmatic attacks by soothing the muscles and preventing spasms. A cup of hyssop tea may be a way to improve your digestion when your stomach is in trouble. This herbal infusion may be useful in case of indigestion, heartburn, or just digestive trouble due to a nervous condition. It is said to help soothe and improving the lining of the stomach. Drinking this tea may bring relief when you are suffering from intestinal congestion or cramping. It may be good for relieving gas, bloating and flatulence, colic and IBS. It cleanses the colon by acting as a laxative, flushing out wastes from the body. Hyssop tea may help clear more than just bacteria and viruses from your digestive tract. It is said to be good against digestive worms, expelling them from the stomach. 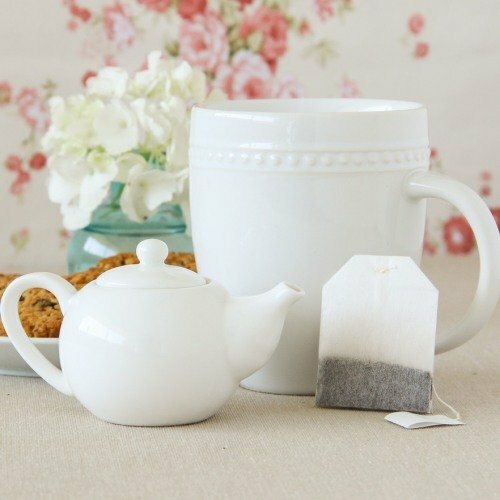 By improving your digestion, this tea could help manage weight problems. Drinking hyssop tea gets your stomach and intestines working better, moving out unnecessary wastes and fats quicker. It may also stimulate your appetite, just make sure to eat healthy. Hyssop may be used to make a calming infusion that naturally eases tension in the muscles and on the nerves. It has relaxing qualities from which you can benefit. If you are having trouble sleeping, consider taking this tea in the evening to calm your mind and let you fall asleep quicker. Drink a cup of this tea when you experience anxiety, its soothing nature will help stabilize your blood pressure and calm a nervous stomach, slowly getting your nerves back in check. As a natural sedative, hyssop tea may help relieve muscle aches and tension. It is said to be good for joint stiffness and rheumatism, soothing the pain and reducing the inflammation. Hyssop tea may help improve the health of your heart by, stimulating circulation and regulating your blood pressure, raising it when too low and lowering it when it is too height. It may function as a heart tonic, helping to flush out elements that pose a risk to your cardiac health. It may also be useful to prevent heart disease, by lowering levels of bad cholesterol and keeping the sugar levels in your blood in check. It may be particularly useful to lower increases in blood sugar just after eating. Drinking this infusion may help to strengthen your blood vessels, preventing clots and thus it may help you avoid coronary complications. Another benefit of this tea is its ability to clear your liver and improve its hormonal balancing action. This means it may help women to regulate their menstrual cycles by bringing on delayed menstruation. Hyssop tea may help increase blood flow to the pelvic area and help to treat the discomfort related with uterine fibroids. Hyssop infusions are great to help strengthen the immune system; they may show the ability to fight microbes, bacteria or viruses. This is the result of the presence of caffeic acid and tannins in the herb. Its antiviral activity may be used to fight the herpes simplex virus, and research in being done on the ability of hyssop tea to fight more serious viral infections, but claims still need to be verified. The antiseptic properties of hyssop tea may also be useful in the treatment of external issues. For example, you can use it to wash cuts, scrapes, bruises and discolored contusions, reducing the risk of infection and speeding tissue regeneration. Soak in a warm bath infused with hyssop to help bring relief to muscle pain, associated or not with rheumatism. It may be used as a form of facial or general skin care. Make a foot wash to treat fungal infections such as athlete's foot and nail fungus. Alternatively as a poultice it may be applied to kill off head and body lice, or simply to treat a sun burn or skin irritation. Applied to insect bites and stings, it may help treat the inflammation them and at the same time, it is said to also work as an insect repellant. Have a cup of a decongesting tea! Herbal teas may provide you with many health benefits, but to make the most of them you should also be aware of their potential side effects and other counter indications. Take the following information into consideration when drinking hyssop tea. There is always the possibility that you may be allergic to a certain herb. If you experience any symptoms like skin rashes, difficulty breathing or tightness in the chest or swelling of the tongue, stop taking this tea and go to doctor immediately. Hyssop tea is often used to regulate sugar levels, but for some people there may be a risk of lowering your blood sugar too low. In this case, moderate your intake or stop altogether and work with your doctor to find a better alternative for you. The recommended daily dosage for this tea is 2 to 3 cups per day. You should also not drink it for more than 2 weeks. If you feel that you need to continue taking this tea, then talk to your doctor and discuss advice on the appropriate intervals for you. Drinking too much of this tea could cause stomach upset, nausea and diarrhea. More serious effects of overdosing are dizziness, tightness in the chest and convulsions. In this case, stop taking this tea and speak to a doctor. Due to the presence of ketones, although in very small amounts, when drinking too much of this tea it may cause epileptic episodes in people who predisposed to suffering from them. If you are taking anticonvulsants, it best to avoid this tea as it may reverse the effects of your medication. If you taking any form of prescription medication, you should consult your doctor before drinking this tea to make sure there are no adverse interactions. Although this tea may serve as a decongestant for your child, talk to his pediatrician about possible allergies and properly adjusting this tea to your child's weight. 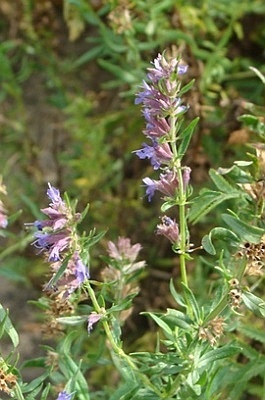 Hyssop tea may be used to stimulate the uterus, this also means that it may be dangerous for pregnant women. While some believe that a miscarriage may be induced only in the event of excessive consumption of this tea, it is better to talk to your doctor first. If you are nursing an infant, it is best not to take this tea as there haven't been enough studies to confirm the safety or side effects of too much hyssop tea on your baby. If you suffer from a menstrual disorder, make sure to confirm with your doctor that you take this tea and what to be on the lookout for when drinking it. You should also avoid this tea if you have an iodine-related disease such as hyperthyroid disorder or goiter. Drinking a cup of this tea is the best way to reap its benefits, so let's put the kettle on and begin. It is time to learn how to make hyssop tea. 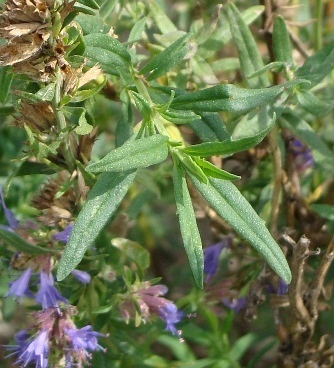 Hyssop tea is made using dried leaves, flowers or stems of the hyssop plant. In fact, most of the above ground parts of the plant may be used, but dried aromatic flowers or leaves make the best healing and cleansing teas. Start by bring water to a boiling point (100ºC). In a teapot place 2-3 teaspoons of dried hyssop herb per cup of water (approx. 250ml). 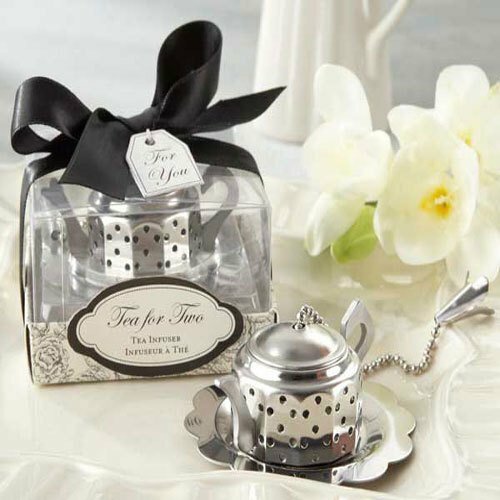 Pour the boiling water over the herb and then place the lid on the teapot to preserve the steaming aromas. Let your herbal tea steep for about 10 to 15 minutes. Strain the tea into a mug or cup and breathe in. 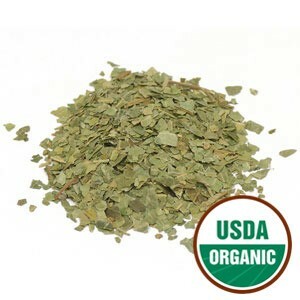 This tea is said to have a pleasant and refreshing aroma, similar to that of mint or camphor. You may even inhale its vapors as a form of decongestant making sure to breathe in deeply to help clear your lungs. If you are using this tea to treat a cold, you may want to consider adding lemon and honey to increase its healing properties. While some find this tea refreshing and agreeable, for other, the warm minty flavors are considered bitter and honey may help to balance this out. Drink slowly while it is still warm. If you are treating a sore throat, skip on the honey and lemon and use this tea as a gargle before swallowing. The daily recommended dosage of hyssop tea is 2 to 3 cups per day and for short periods of time, at most 2 weeks. Hyssop tea may be blended with other herbs to treat respiratory issues. To create a healing gargle to treat a sore throat it is most often combined with horehound or sage. Blending hyssop with licorice may also help treat lung issues, with the added benefit that licorice root adds a sweet flavor to your tea. You may not even need to add honey to this sweet blend. Some people blend this herb with spearmint or lemon balm to enhance its fresh minty notes and give this tea a lighter flavor. However, to enhance the warm properties of this tea, you may consider blending with cinnamon and cloves. You can grow this herb in your garden as long as it receives a lot of sunlight and dry soils. Leaves and flowers are best harvested in August and then strung upside down to dry in a warm room away from sunlight. Remember to store properly the dried herb in an airtight container. Buy Your Hyssop Tea Today! Click on the image or on the link below to purchase from Starwest Botanicals your Hyssop herb. When you come down with a cold of the flu brew a cup of this tea to fight the illness. Have hyssop at hand when you need it most. 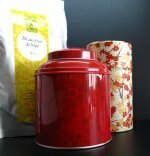 Buy your Hyssop tea now! This tea is must have in any home when the cold or allergy seasons approach. Try it the next time you come down with the flu. Get back on your feet quickly with hyssop tea!